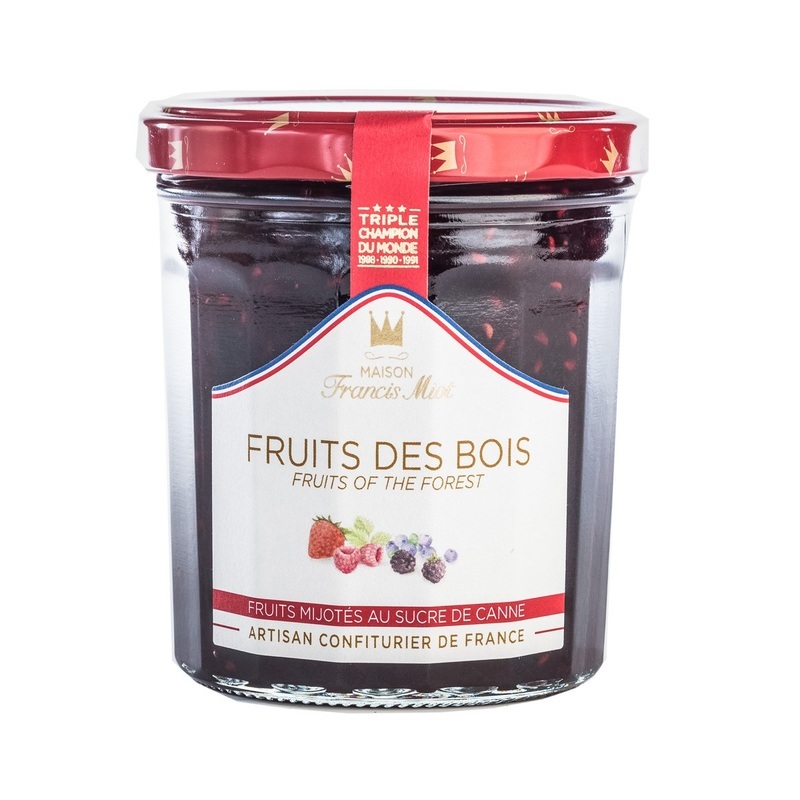 ​The Fruits of the Forest jam is a nice mix of strawberries, raspberries, mountain wild blueberries and blackberries. Strong in taste and flavor with a low sugar content, it tastes so good! Raspberry 17,5 %, strawberry 17,5 %, wild blueberry 11,5 %, wild blackberry 11,5 %, cane sugar 41 %, gelling agent: fruits pectin (from the fruits), acidifier: concentrated lemon and fruits. Allergen : Ø.